Make your ads stand out and spread your message more clearly by displaying them on LED advertising screens. 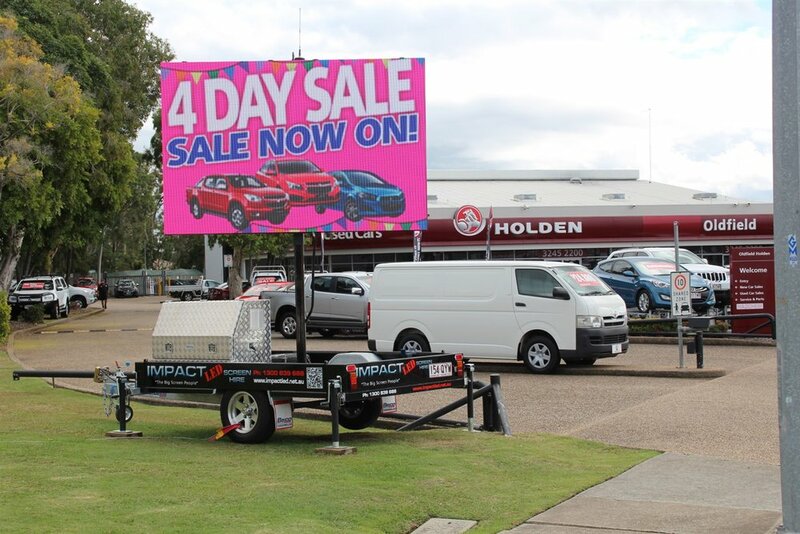 Our versatile LED advertising screens available Brisbane and Gold Coast wide are fitted with super bright P10 (10mm) Pixel Pitch LED's that are ideally suited for large format outdoor advertising screens and capable of handling full sun positions with ease. Whether you’re selling a product, promoting a service or providing real-time updates to your consumers, our LED billboards will give you the ability to show your message clearly and effectively at all times. Simply set an LED billboard up in front of your business and your audience will be able to see your advertising message clearly both day and night. 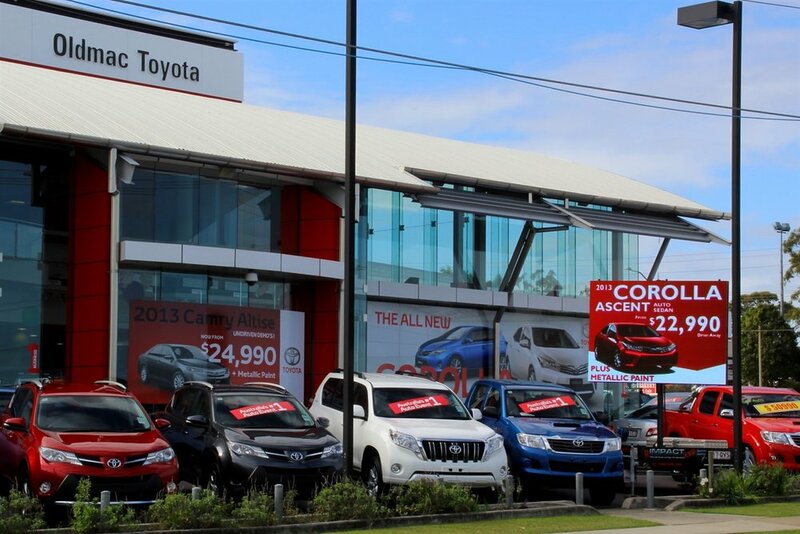 Call us on 1300 839 688 or send us a message for more information about our LED signs for business. What are LED Advertising Screens? Also known as ‘digital billboards’, LED advertising screens are signs that use a collection of LEDs (Light Emitting Diodes) to display images or videos on-screen. Because each screen is made of different bulbs that can be controlled individually, you can display both static and dynamic images on LED screens, giving you more options for displaying your ad. LED advertising screens also produce brighter and clearer images than traditional billboards, making your ad more visible and attention-grabbing to your audience. Cost-Effective – Few physical advertising tools are as cost-effective as LED advertising signs, especially when it comes to scaling your operations. LED billboards require minimal investment to get your message across to large groups of people. And unlike traditional billboards, there’s no printing or shipping costs involved if you want to set up multiple signs in different locations. LED advertising screens are also energy efficient, requiring less energy than standard bulbs and lights used in traditional billboards. Visibility – LED billboards offer perhaps the best visibility and clarity for billboards their size. LEDs are much brighter than traditional lights and bulbs, lighting your ad with greater clarity even at night and from long distances. By making your ad more visible – even at night – you’re more likely to grab people’s attention and communicate your message to your audience. Dynamic Content – Unlike traditional billboards and signs that use only one image, LED billboards let you advertise in a variety of media formats. You can display both static and dynamic content on your LED billboard, letting you display photos, slides and moving images easily. 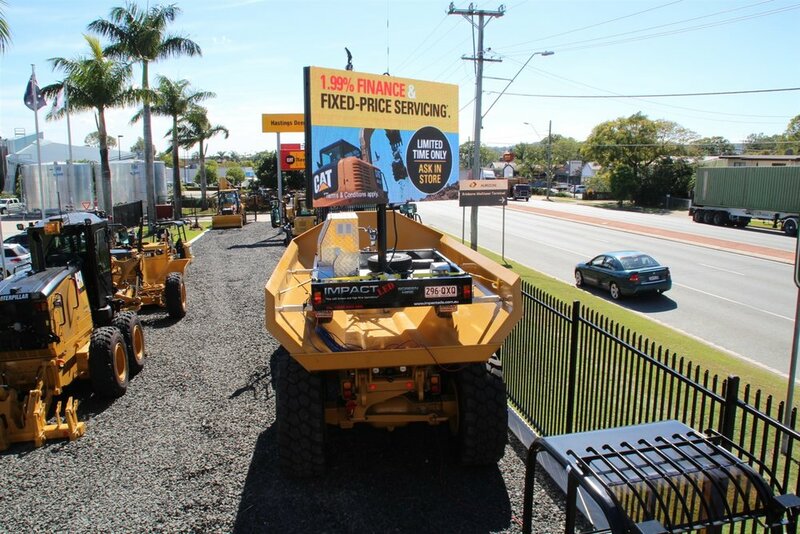 With our LED advertising screen in Brisbane and on the Gold Coast, you can display more captivating content that will grab your audience’s attention more effectively. Versatility – LED advertising signs are incredibly versatile, giving you the ability to change your message quickly to suit your needs. You can change your ad display weekly, daily, or even hourly, providing unparalleled flexibility for billboard and sign advertising. The digital nature of LED billboards also means you can make changes to your ad at minimal cost (if any), making campaign changes easier and faster to do. Control – The ability of LED billboards to change your ad quickly and display different formats gives you supreme control over your branding and message. You can tailor your ad and craft your message to suit your needs for the moment, letting you switch levels in your marketing campaign to accommodate special events, promos or themes that pop up. Boost your marketing campaign by using our outdoor LED billboards to display your ads more effectively to your consumers. We’ve tailored our LED signs for business and commercial activities, giving you the tools you need to reach more people and spread your message clearly at key locations during the day and night. Call 1300 839 688 to get a quote from our team and learn more about what our LED advertising signs can do for your business. If you have any questions about LED billboards and how they work, feel free to send us a message.